Huon Hooke, known in the industry as one of the most trusted voices in Australian Wine, was today announced Legend of the Vine NSW at the WCA Sydney Royal Wine Show Trophy Winners Lunch. With a career spanning 35 years, he is one of the worlds most recognised wine experts and has received his Legend of the Vine status for his service to the wine industry as one of Australia’s longest established and most respected wine writers and critics. “The name Huon Hooke is synonymous with wine knowledge and his words of wine wisdom are respected globally. 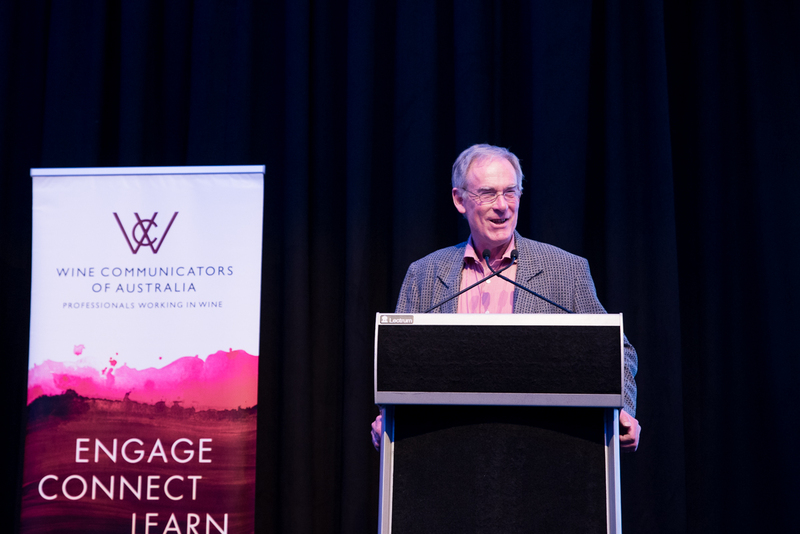 His outstanding contribution to the national and international wine world has made him a highly respected figure amongst both his professional peers and the wine public,” said WCA National Chair Angus Barnes. Launching his career in 1983, Huon Hooke has enjoyed acclaimed success as an Australian wine writer and critic. Hooke is the Chair of the Vin de Champagne Awards, Chair of the Australian Wine List of the Year, and is a judge of the Australian Winemaker of the Year. Hooke was the co-author of the Penguin Good Australian Wine Guide for 17 years and to date has been awarded eight reviews for wine writing. He currently writes for independent publications Decanter, Gourmet Traveller Wine, and has his own weekly wine section in the Sydney Morning Herald Good Living Magazine. He is an active contributor in the online wine world and published his own website and mobile app www.huonhooke.com in 2011 where you can find all of his up-to-date tasting notes. A respected wine judge, Hooke judges approximately ten wine competitions a year in Australia and other countries such as New Zealand, Italy, England, Canada, Chile, Belgium, Japan, Slovenia and South Africa. Hooke, whom is commercially independent and impartial, prefers to taste wines blind and conducts all of his tastings himself. His exhaustive reviews comprise of over 30,000 tasting notes and ratings with a focus on wines from Australia, New Zealand, France and Italy. The Legend of the Vine Award was first introduced in NSW in 2014, and extends across Victoria and South Australia with annual awards issued in each of these states. The WCA Board and State Chapters select the nominees from each state, with the final winner determined by the WCA National Board. Huon Hooke is the fifth person to be awarded Legend of the Vine status in NSW, and joins a prestigious list that includes Clive Hartley, Iain Riggs, David Lowe and Rob Hirst.